This map shows the planned trail, including portions not yet completed. 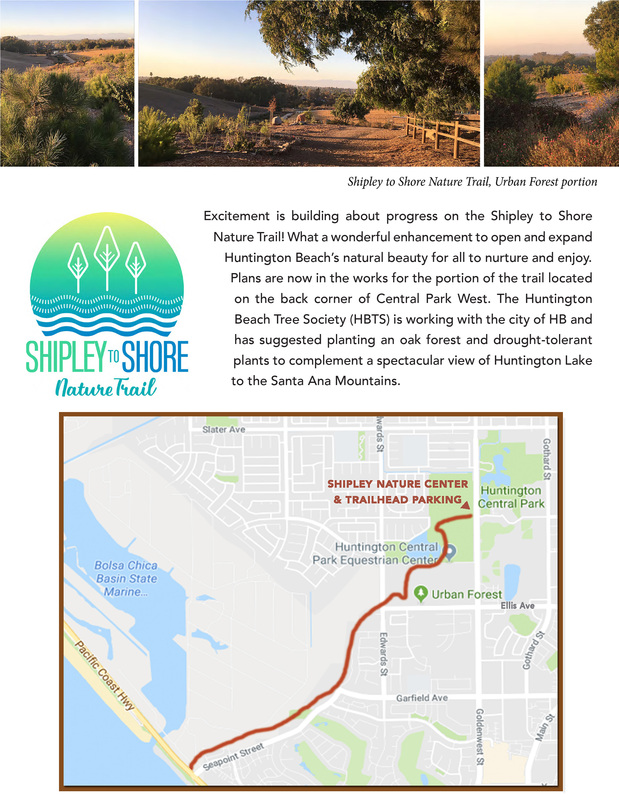 To read an article on the Shipley to Shore Nature Trail in See California, please Click Here. The photo at right, taken April 2, 2019, shows ditches dug for irrigation on the Shipley to Shore Nature Trail. The City of HB, in partnership with the HB Tree Society, is investing $75,000 along the three-mile trail to complete irrigation.